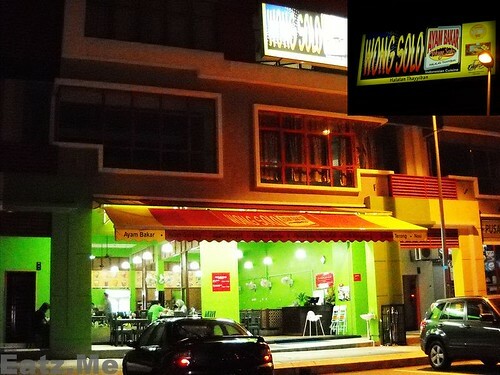 Restoran Umi, Selera Kampung @ Pusat Komersial Seksyen 7, Shah Alam. Yes, lately I’ve been posting most of the restaurant at Section 7 Commercial Center, Shah Alam. You may refer my recent post here: Nasi Kukus, RZ Restaurant & Catering @ Pusat Komersial Seksyen 7, Shah Alam. | Thai Asam Fish Restaurant @ Section 7 Commercial Center, Shah Alam. Perhaps because I’m ending my journey as a student at UiTM Shah Alam, so I decide to write a post of interesting food spot in Pusat Komersial alone because this area is quite famous among UiTM students/staffs/lecturers. Best Lontong In Shah Alam @ Restaurant Lontong Klang. Well, the name of the restaurant does not reflect their location, it was located at Shah Alam actually. But yeah, Klang or Kelang town is famous with one of their signature dish which is Lontong. Lontong was a well known Indonesian food, among Javanese people. There are several types of Lontong, but the one that are famous in Malaysia is known as Lontong Cap Go Meh in Indonesia. Well, you can read more about it here on Wikipedia. Steamboat @ Uptown Shah Alam, Seksyen 24. Okay, this is another short post from me. This should be wrote by me long time ago, but I forget to do that until I found back the picture, huhu. Ais Oyen @ Anika De’ Fresh, Prima 2, Shah Alam. Before anything, Prima 2 is located in Seksyen 2 Shah Alam.The stall is located at the first row from the UiTM College and near the Seksyen 2 Bus stop. Okay, before this I had made a review to this food court, among others: Ayam Penyet, ABC Pegaga, Wawasan 2020.